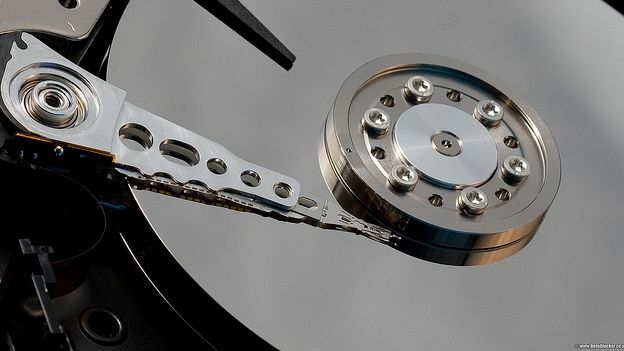 We can never assume that data on our hard drives is 100 per cent safe. Malware, bugs and software, hardware fails and plain old human error can all conspire to cause data loss. The loss of important business documents, treasured photos or your music library would be a complete disaster if you don't back up your PC on a regular basis. While back and recovery is never going to be rock'n'roll, getting the right software is important. We list the five best backup applications you can download for free. The Recycle Bin in Windows has been a great feature helping those users who have deleted files to recover them easily. Of course, from time to time this Bin gets emptied and if you were trying to find a file after that, things get a little bit more complicated. However Recuva is a handy little tool for those situations. While the file appears deleted and gone for good, all that Windows has done has deleted the link to the file and the file will still be around until it is deleted. Recuva can search through drives looking for such files and bring them back if not overwritten. PC Inspector File Recovery rebuilds accidentally deleted files and can recover deleted files with the original date and time. File Recovery can even salvage files from a directory where no reference is available. The software finds partitions automatically, even if the boot sector or FAT has been erased or damaged. Download PC Inspector File Recovery here. This free software gives users a plethora of options for backing up data and restoring your PC should things go pear-shaped. The interface has been revamped to make it fit in with the Windows 8 aesthetics. This app allows you to back up the entire hard drive of PC via its easy to follow process. This back up can be saved to another hard drive, CD, DVD or Blu-Ray disc. Once the image has been saved, differential backup can be made to archive changes made to the disk in the intervening time. Download Paragon Backup and Recovery Free here. Personal Backup is a application for saving personal files to any destination folder. This folder may be found on a local fixed or removable hard disk, on a Windows network server or FTP server. The software allows users to configure and save as many backup tasks as they wish. Subfolders are automatically included but can be configured to be excluded. Automatic backup can be scheduled for logon, at a selectable time of day, on logoff or on shutdown. This open source tool works not only for Windows PC but also Macs and Linux. The free tool can save your files on different storage devices. The software works by enabling the user to choose two folders to compare, the app analyses both and checks the reliability of files and file versions.